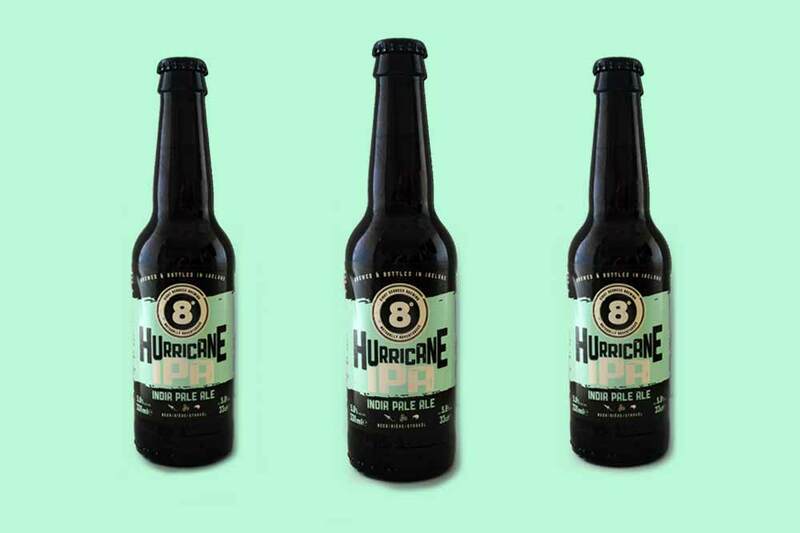 Eight Degrees Re-release Hurricane IPA | Galvins Wines & Spirits | Distributors of award winning Irish and International Craft Beers and Ciders, Small Batch Spirits and Exclusive Wines. A hurricane is a tropical storm originating in the North Atlantic Ocean, rotating in the opposite direction to a cyclone. This IPA showcases punchy American hops – Simcoe, Citra and Mosaic – making it a fruit, lemon and pine taste bomb. Get it now while it’s Hurricane season: this Category Five brew will do more than tickle the taste buds. This was first released to rave reviews in September 2013, as part of the eight degrees “Hop Off” IPA duo. The drinking public was asked to vote on their favourite and Hurricane – despite strong opposition from the Antipodean hopped Cyclone – was the one chosen. Colour/appearance: pours a deep orange colour. Aroma: intense aroma of mango and passion fruit. flavours of mango, stone fruit and passion fruit along with some resinous pine notes. There is a good biscuit malt backbone to balance out the aromatic hops. Aftertaste: a medium bodied IPA with lingering, humming bitterness. Food pairings: this aromatic ale works wonders with spicy Mexican flavours. Try it with the legendary Cochinita Pibil from A Mexican Cook and you’ll think you’ve died and gone to heaven.